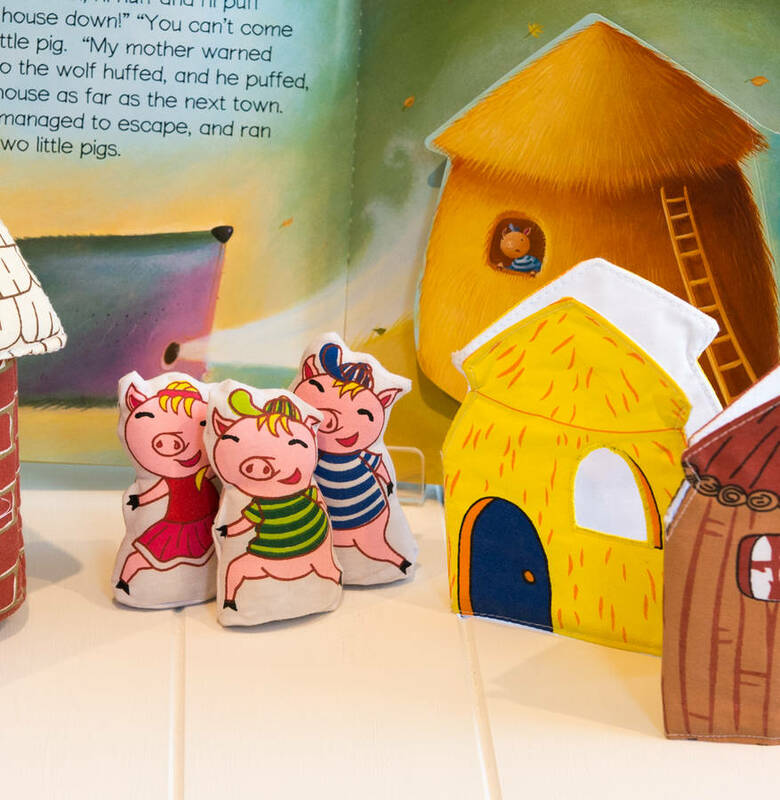 A favourite fairy tale recreated in a fold out Three Little Pigs fabric play scene, CD and book. Three gifts in one! 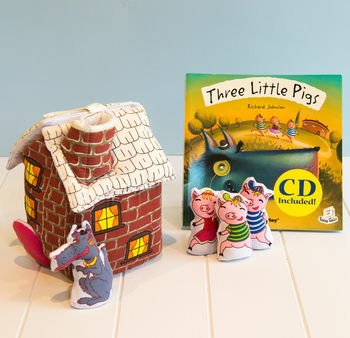 Follow the pop up story book and CD and practice the classic tale with our beautifully detailed, matching interactive play set. 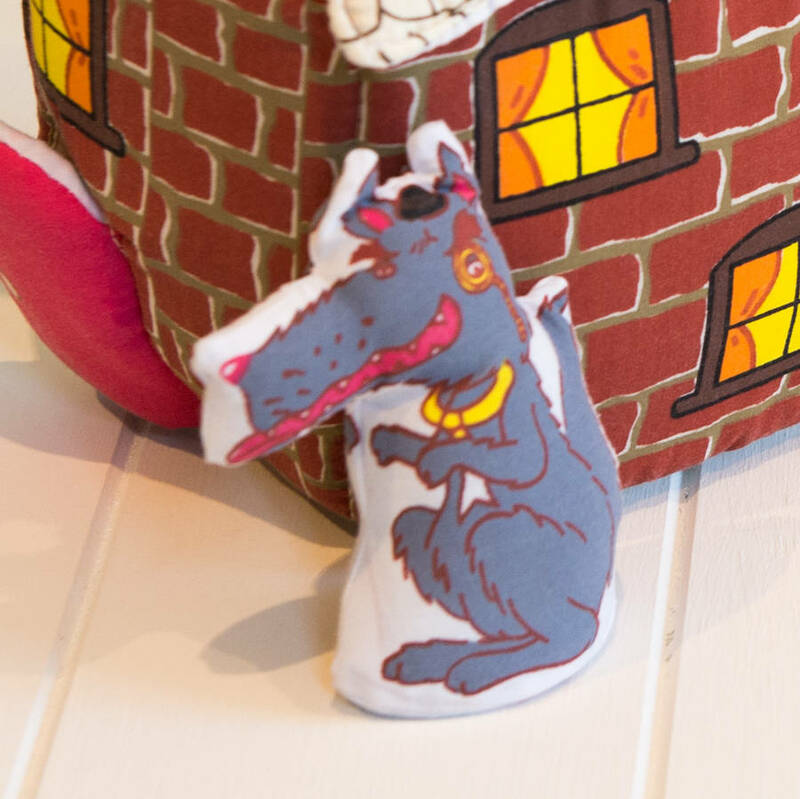 The entire play scene is made from washable cotton fabric. 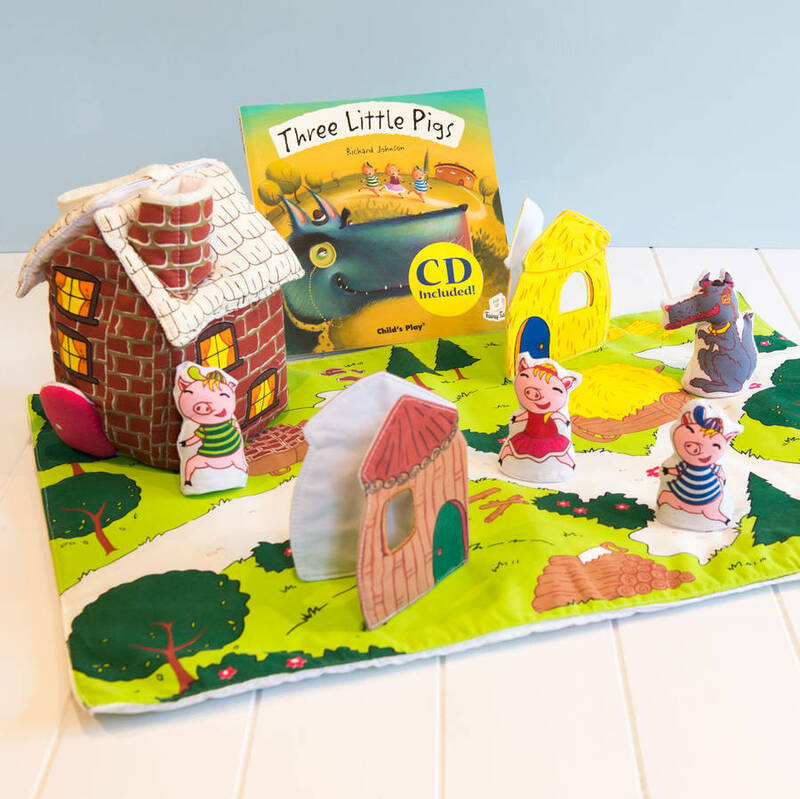 A colourfully illustrated play mat unfolds into a 40 x 60cm play scene with plenty of room to move the 3 little pigs from house to house.The roof on the brick house opens to store three free standing pigs, a wolf, a straw house, a stick house and the play mat. Children can reenact the story by blowing over the straw and wooden houses just like the wolf! The three little pigs book, CD and play set are part of the Pockets of Learning award winning range and is exclusive to Jolly Fine. 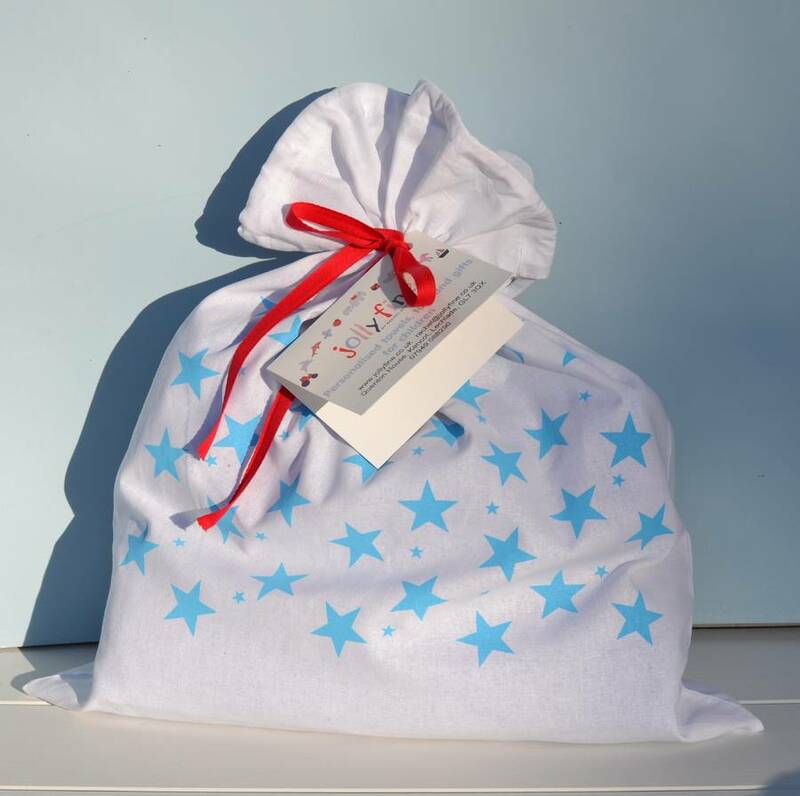 We safety test all our toys from birth ensuring all the family can enjoy them and recommend this set for children 2 - 6 years old. Paper book, plastic CD, fabric house and contents. 15cm high x 12cm deep x 18 wide. Play mat 40cm x 60cm.